Click Here To See Doctor Strange #6 Comic book! Check out this very nice Dr. 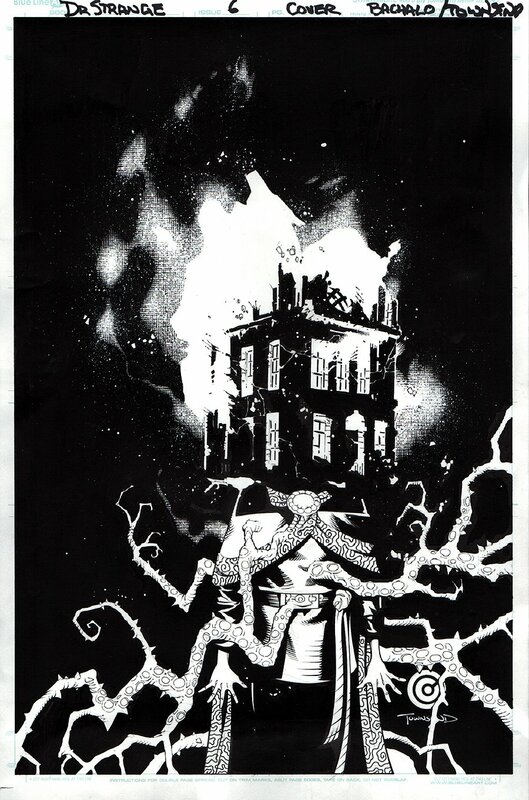 Strange cover, which was penciled by the great Chris Bachalo, and inked by the great Tim Townsend, from the story titled: "The Last Days of Magic!" 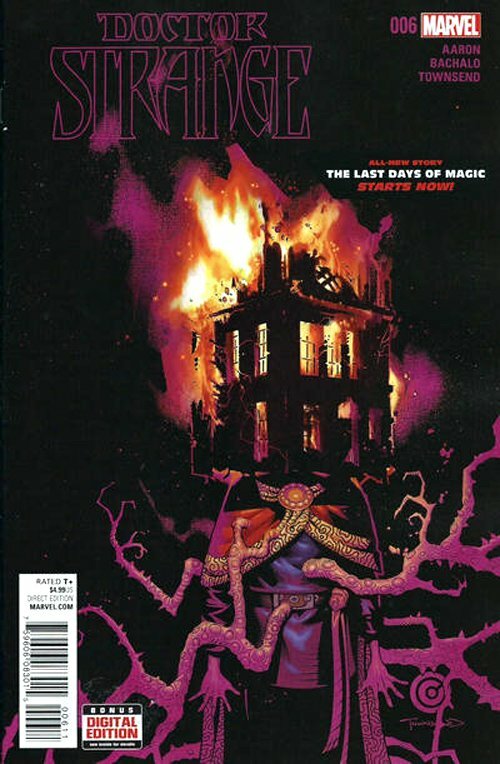 This nice cover features Doctor strange sanding with tentacles all around him, as his mystical magical sanctum is set on fire on top of the good Dr's head! There is a 4 inch crease on the back of the cover on the right side as well as a 7 inch crease on back near the very bottom of the board. This cover could easily get pressed out and look great, as the creasing can only be seen from the back side of the artwork. There is a small crease in the lower left corner that just barely touches the tip of one of the bricks, and a small minor crease on the back right side that can't be seen from the front. Compare this nice cover art to the published comic book in the red link above! ALL art on our website (including this one) are able to be purchased with VERY fair time payments, and trades are always considered towards "ANY" art on our website! Just send us an email to mikeburkey@aol.com and we can try to work something out.